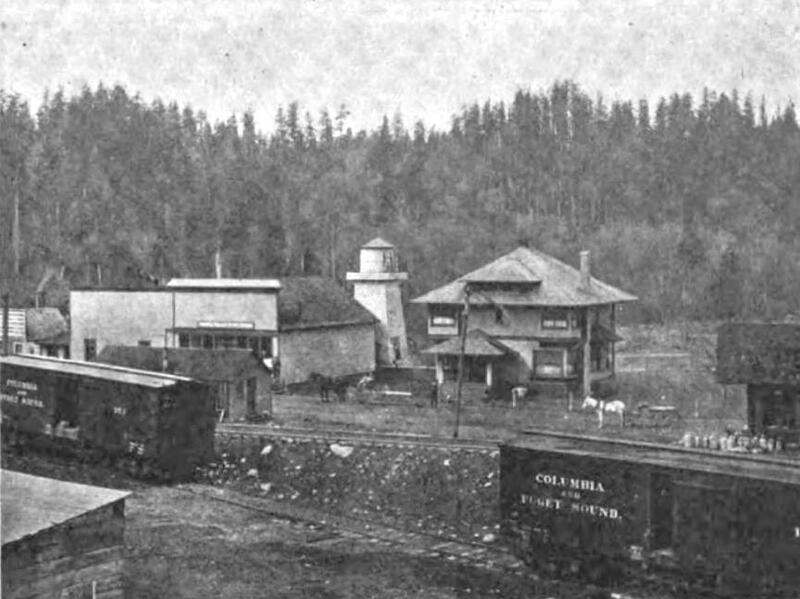 Railroads played a key role in the development of most King County towns, including Ravensdale. The arrival of the nation’s second transcontinental railway, the Northern Pacific (NP) in 1883 dramatically accelerated growth throughout the Washington Territory. The development of a production-scale coal mine required a rail link to deliver the massive equipment needed to operate the mine and to transport the coal to market. The dotted line shows the area to be covered by the communities plan. 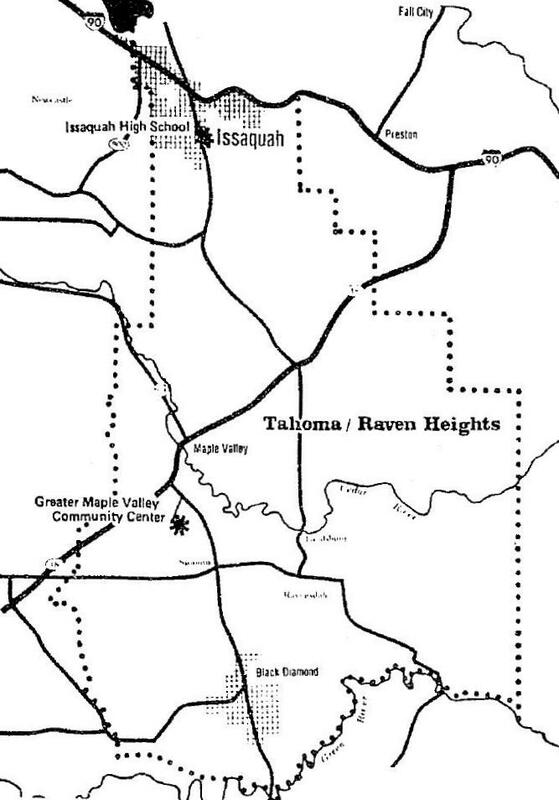 TAHOMA-RAVEN HEIGHTS — More than 115 years ago the discovery of vast coal deposits drew settlers to the remote Squak Mountain, Issaquah and Newcastle regions. But now the sprawling reserves of undeveloped land are spawning rapid growth in the 150-square mile area from Issaquah south to Black Diamond. So last August, King County planners assisting a citizens’ committee began the tremendous task of planning for the future of what is called the Tahoma/Raven Heights Communities Plan area—the largest plan undertaken so far. 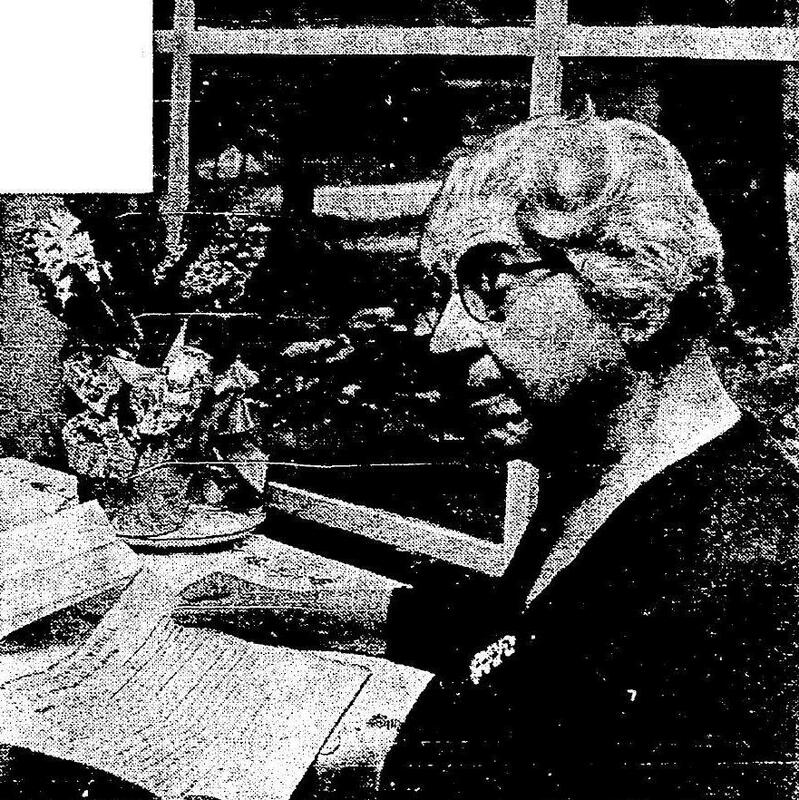 Overlooking the site of the mining community of Cedar Mountain is a window on the south side of the home of Mrs. Edith Cavanaugh. On the table were deeds to the Cavanaugh land, signed by Presidents Grant and Arthur. —Times photo by Roy Scully. Lost towns of King County rival in mystery the ghost towns of gold-mine country. The thing about them is that most have vanished without a trace—not so much as a weathered heap of timber or a false-front abandoned store to indicate that at this or that road junction stood a community of several hundred persons. Any map of 50 years ago or more is sprinkled with place names where nothing to indicate a community exists today. Some of them were swallowed by the Cedar River watershed. Others died from natural causes. Who could find Taylor, Kerriston, Cedar Mountain, Sherwood, Eddyville, and Barneston today? Who would know about Henry’s Switch, Atkinson, Trude, Holmar, Herrick, Danville, and Durham? Store and residence of W.D. Gibbon, Maple Valley, Washington. 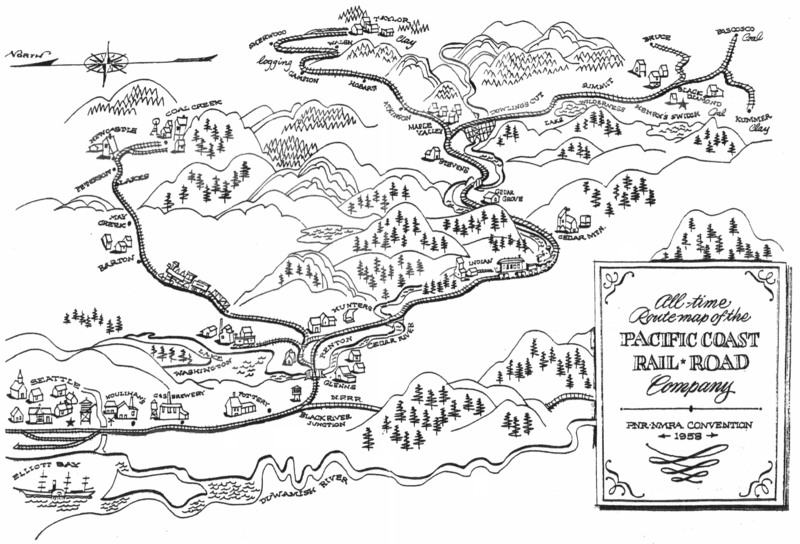 The building of the Chicago, Milwaukee & St. Paul Railroad to the Pacific Coast has done more than merely make another means of crossing the American continent; it has opened up a new country in many instances better and larger in opportunities than what now has railroad transportation and has lessened the rates where railroads were already running. 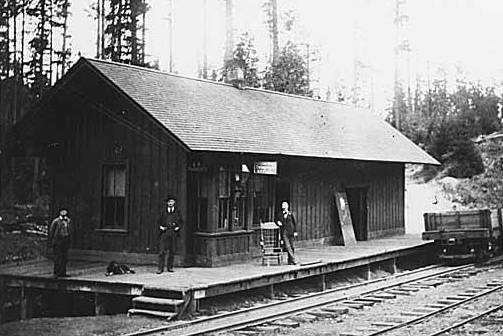 Maple Valley’s first railroad station, built in 1887 for the Columbia and Puget Sound Railroad Company. 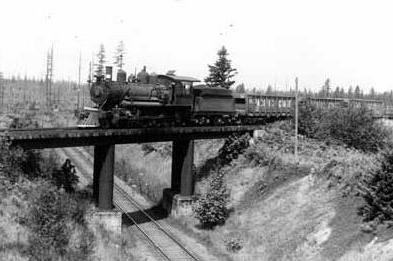 The Milwaukee Road did not come through Maple Valley until 1907. Hence the station was evidently in a considerable different location than the two which replaced it. At the time this photograph was taken, the track was narrow gauge, probably three feet between the rails, as compared to the standard gauge of 4 feet, 8 ½ inches in use on American railroads today. The Columbia and Puget Sound was purchased by the Pacific Coast Coal Company about 1897 and renamed the Pacific Coast Railroad. At 4 p.m., Friday, April 4, 1980, Burlington Northern Agent Ralph Ozura locked the door on the Maple Valley station and went home for the last time.